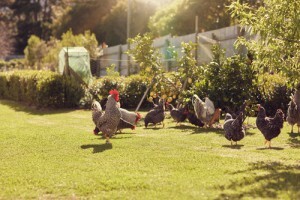 The Centers for Disease Control and Prevention is investigating several multistate outbreaks of Salmonella infections linked to contact with live poultry in backyard flocks. As of June 1, 2018, 124 people infected with the outbreak strains of Salmonella have been reported from 36 states. Several different types of Salmonella bacteria have made people sick, according to the CDC’s investigation. 21 ill people have been hospitalized, and no deaths have been reported. The CDC says epidemiologic, traceback and laboratory findings link the outbreaks to contact with live poultry, such as chicks and ducklings, which come from multiple hatcheries. In interviews, 55 of those who were sickened reported contact with chicks or ducklings in the week before their illness started. People reported obtaining chicks and ducklings from several sources, including feed supply stores, websites, hatcheries, and from relatives. Seventy outbreaks of Salmonella infections have been linked to contact with backyard flocks since 2000.